The world we call home is a place that brings us immense joy, yet it is also a place where inequality, ignorance and injustice plague what is good and what is pure. Do we sit back and accept the way things are or do we roll back our sleeves and decide to change the world around us? We, at Institut Montana Zugerberg, believe in doing whatever possible to act as agents of change. We aim to cultivate selflessness and critical spirit in our students and part of this is achieved by giving them an opportunity to choose causes that lie close to their hearts and providing them with a platform which they can use to make a difference. At the beginning of the new academic year, students propose various charities at the first school assembly. They deliver presentations in which they try to convince their classmates as to why their proposed charity should be chosen as the ‘Charity of the Year.’ At the end of the assembly, students vote for the charity they wish to support. This exercise enables students to learn the importance of reflecting on the world around them, finding causes that lie close to their hearts, taking the initiative and mastering the art of persuasion while cultivating altruism. 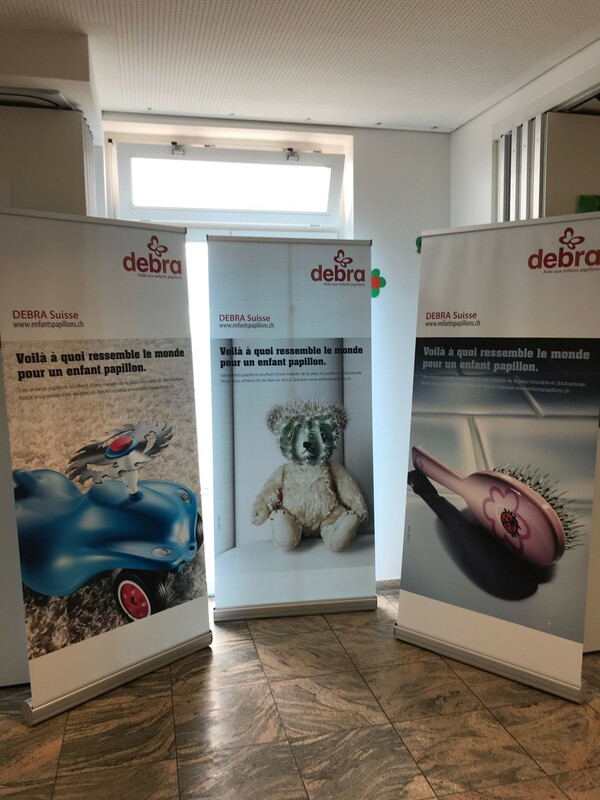 This year, our 7th graders proposed DEBRA Schweiz, a foundation that supports children suffering from Epidermolysis Bullosa (EB) in Switzerland. Epidermolysis Bullosa is a painful and debilitating disease caused by a gene mutation which hinders a body's protein production or a functional form of protein. Patients suffering from EB have an incredibly sensitive skin, as sensitive as the wings of a butterfly which is the reason why children suffering from EB are also known as the ‘butterfly children. According to Debra International, approximately 1 in 17,000 live births, with an estimated 500,000 people worldwide are living with EB. 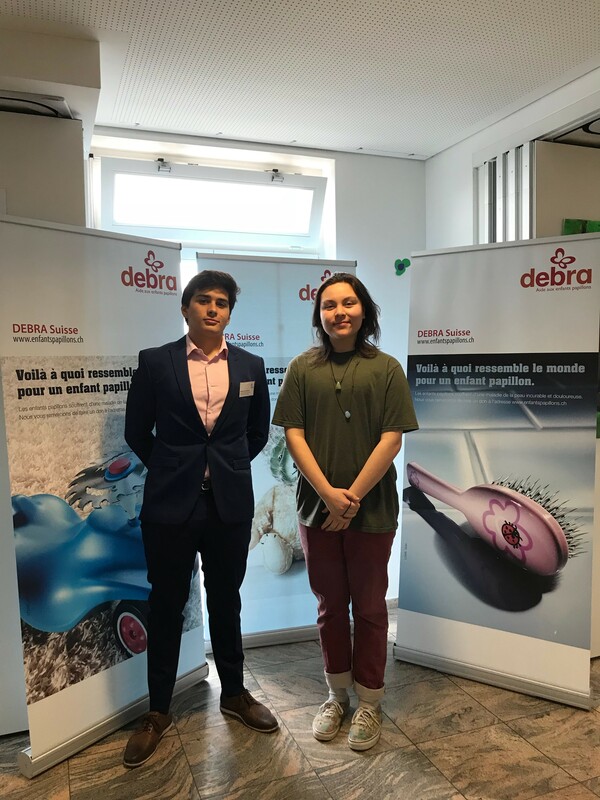 DEBRA received the most votes and was chosen as the school charity for the academic year 2018-2019. In February this year, students attended an EB awareness session that was held by two of our esteemed colleagues whose son is a butterfly child. It was an incredibly powerful presentation, very personal and one that shed light on the challenges that butterfly children and their families go through every single day. At the end of the session, a successful teacher-led bake sale helped raise funds for DEBRA Switzerland. Our dedicated faculty members believe in leading by example and participate actively in all activities that help our students become aware of various issues and motivate them to come up with creative ideas to make a difference. At the beginning of March, a second event was organised at the Parents Teachers Conference at our international school, during which four Grade 11 IB students, volunteered to act as EB ambassadors and contacted the waiting parents to inform them about EB. It is important to mention here that as EB is a rare genetic disease and not many pharmaceutical companies invest in research to find a cure thus the role of private donors, in this case, cannot be undermined. On 27 March 2019, we will observe 'Show Your Seams Day.' Butterfly children's sensitive skin develops painful blisters when it comes into contact with seams which is the reason why many butterfly children have to wear their clothes inside out. Faculty members and students are encouraged to wear their clothes inside out as a sign of solidarity with all the butterfly children of the world. They will be asked to donate 1 CHF to wear their clothes inside out. The proceeds will go to DEBRA Switzerland. 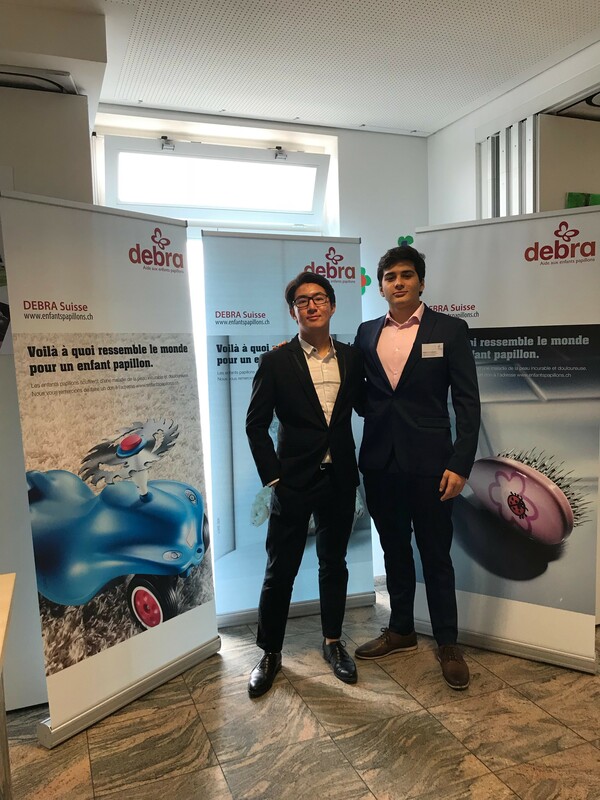 Our Spring Sports Day in May 2019 is another event at which various disciplines will be sponsored and the proceeds will go to DEBRA Switzerland. Bake sales are organised on a regular basis by both students and teachers to raise funds. We strongly encourage our students to come up with creative ideas to raise funds and to ensure that the activities proposed are meaningful and have an element of fun while raising awareness about the issues. We, at Institut Montana Zugerberg, go to great lengths to provide our students with an environment that is conducive to learning and promotes personal growth. We aim to help our students become global citizens who pursue and promote peace and equality and play their part in making this world a better place. It is easy to complain about what is not working; making a difference, however, requires a healthy dose of grit, dedication, time, patience and exposure to experiences that permeate the souls and we aim to cultivate just that in our students. This article was written by one of our most dedicated teachers, Hina Agarwalla.